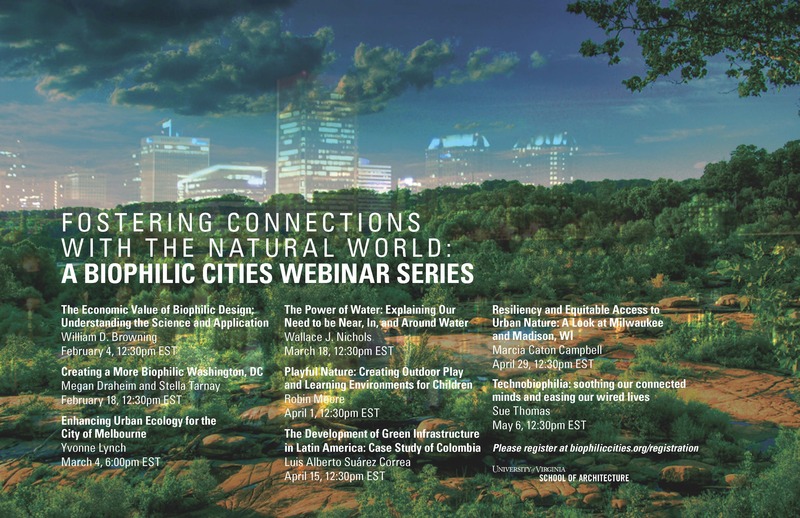 I’m honoured to be invited to speak in the Fostering Connections with Nature webinar series organised by The Biophilic Cities Project. The project conducts research and policy work on biophilic cities, both domestically and internationally, by Professor Tim Beatley and his team at the University of Virginia’s School of Architecture. Its principal aim is to advance the theory and practice of planning for biophilic cities, through a combination of collaborative research, dialogue and exchange, teaching.